Prylars, Vedeks, and Kais may report here. 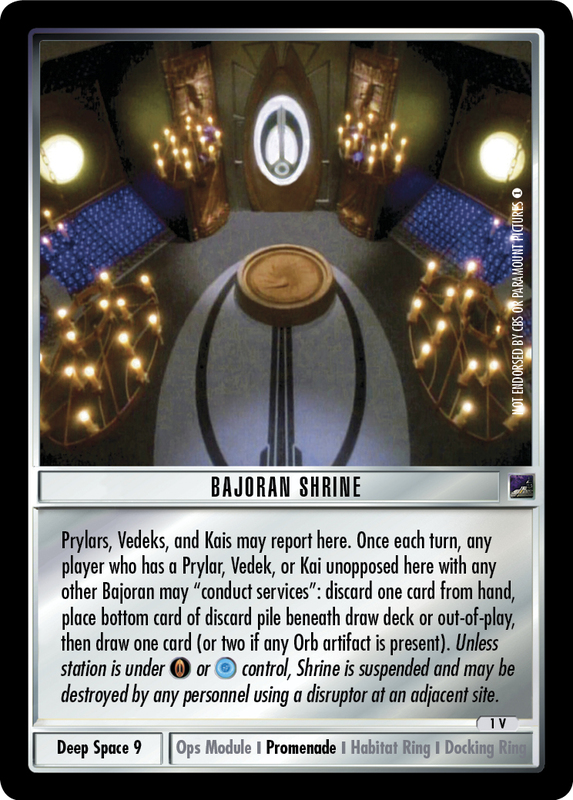 Once each turn, any player who has a Prylar, Vedek, or Kai unopposed here with any other Bajoran may "conduct services": discard one card from hand, place bottom card of discard pile beneath draw deck or out-of-play, then draw one card (or two if any Orb artifact is present). 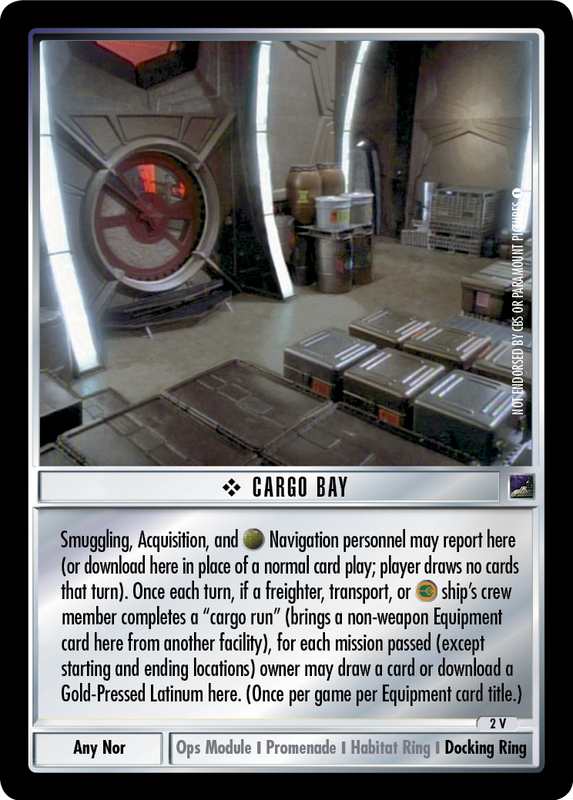 Unless station is under or control, Shrine is suspended and may be destroyed by any personnel using a disruptor at an adjacent site.